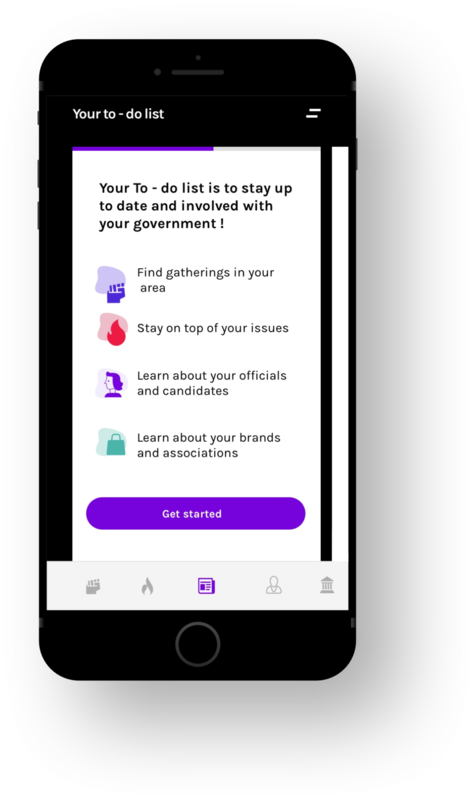 I worked with a startup called Purple Patriot to design a mobile experience to reimagine how people engage with their government, in order to increase civic engagement. 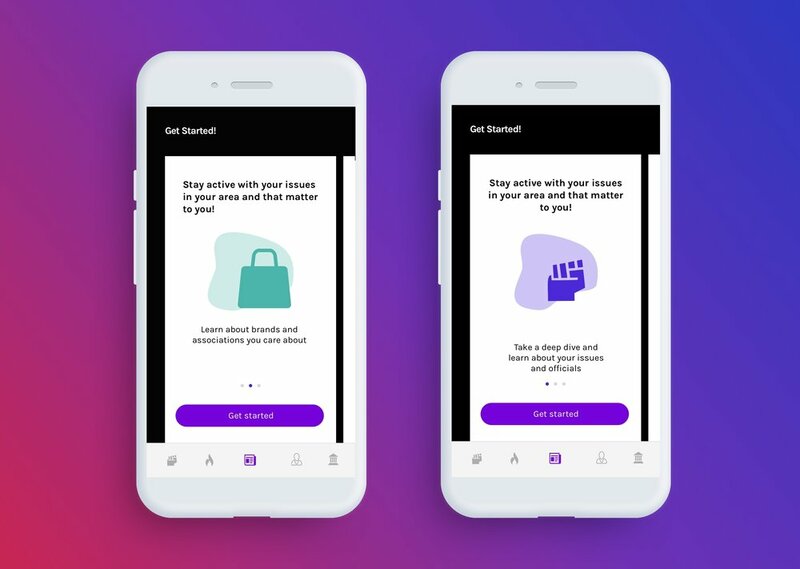 We used design sprints, and research to understand the problem space and based on that knowledge we developed information architecture, UX and a visual language for the experience. How might we empower the millennial to stay understand and participate in their local and federal government. 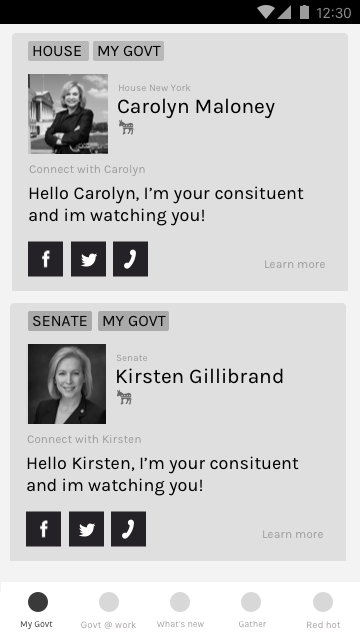 Creating a non - partisan visual experience. 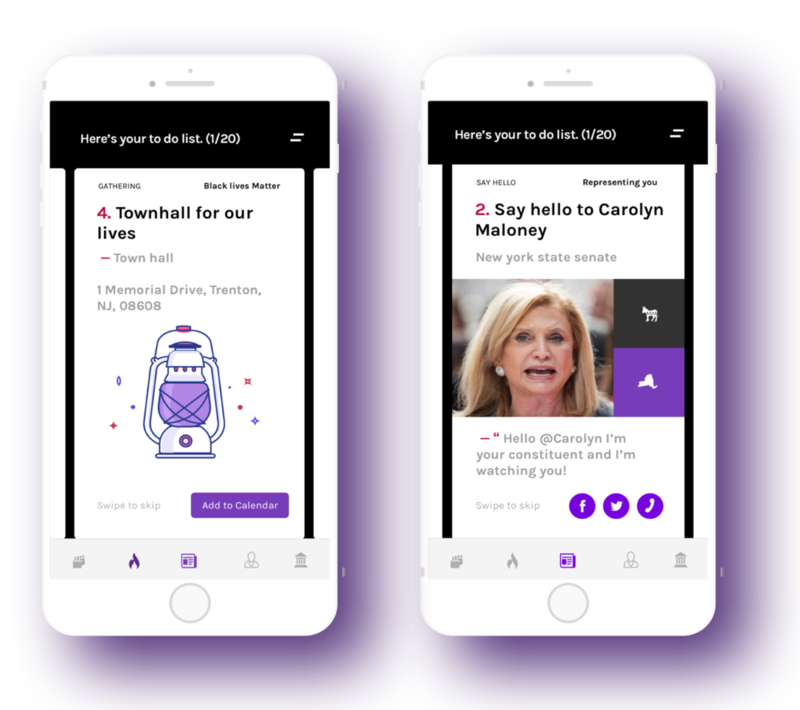 It was important for purple patriot to create an unbiased experience for users. We used neutral color schemes and iconography to achieve neutrality. We also focused on creating a visual experience that was habit building and lightweight.